Incidents from the match of Partizan Dunav Osiguranje (SRB) will be examined. The Quarterfinal match between Partizan Dunav Osiguranje (SRB) and AEK Athens (GRE) on 26 March 2011 was followed by an official report of crowd disturbances during the game. 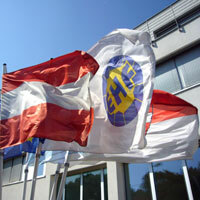 After investigating the circumstances surrounding the problems, the EHF referred the case to the disciplinary body, the EHF Arbitration Tribunal. Also the second leg match, played in Greece on 2 April 2011, is still under investigation due to reported crowd disturbances after the match.